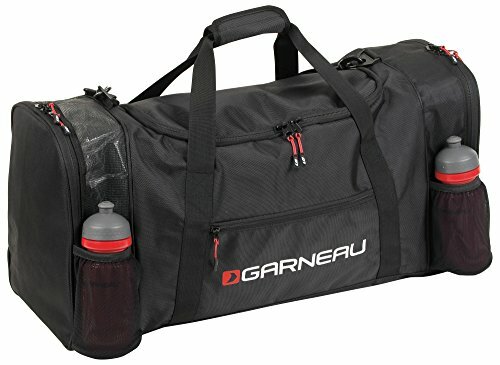 The Duffle 2.0 multisport bag is perfectly suited to carry the equipment you need for all your sports and activities. Maximum capacity is 65L.Features large main compartment with two zippered side compartments for flexible storage. Mesh panels provide extra ventilation for your things. Features storable, detachable shoulder strap for easy transport. Stash extra necessities in a small outer zippered pocket and mesh water bottle pockets. Features protectors under bag for increased durability.